Good afternoon. 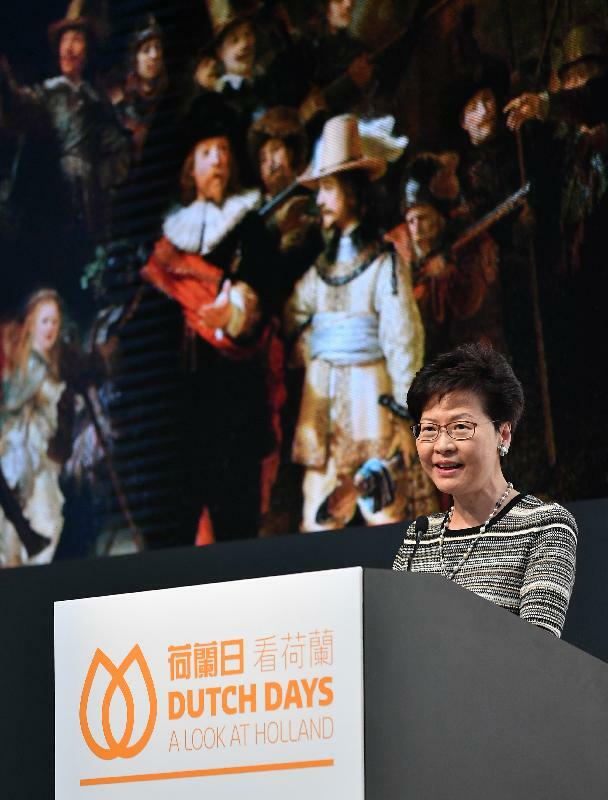 It gives me great pleasure to be here for the opening of this year's Dutch Days in Hong Kong. The Consul General has been kind enough to send my office an email to check on the possibility of the Chief Executive coming to officiate at the Dutch Days. I said, "Of course." There are at least two good reasons for me to come to this event. First, Hong Kong is very blessed to have a very robust consular community. We have over 60 diplomatic consular representations in Hong Kong, and I have always been encouraging them to showcase their culture, their education, even their cuisine and their wine in Hong Kong. Throughout the year, we now have Le French May in the month of May; we have the Dutch Days before the Le French May in April; and in autumn, we will have the Japan Autumn Festival. And I was told that later in the year, we will be welcoming the German Week in Hong Kong. Thank you very much, Consul General, for bringing us these wonderful events. And secondly, particularly for the Dutch Days, I have been writing foreword for you on a few occasions. This is really the time for me to come personally to congratulate the Consulate for organising this wonderful event in Hong Kong. The month-long festival of all things delightfully Dutch is now in its fifth year of showcasing the Netherlands' remarkable culture, creativity and innovation. This year's theme, "Rembrandt as Innovator," responds to the 350th anniversary of the death of Rembrandt, the great Dutch painter and creative genius. Dutch Days will feature a variety of events in celebration of this great painter, introducing to Hong Kong people his masterful art and his life. And there's much more Dutch to look forward to, including a week-long film festival, sustainability seminars targeting water management – another Dutch art in itself – and plastics recycling. Both will be led by Dutch experts and organised in concert with local universities. A family fun day is also on tap, showcasing the diverse culture of the Netherlands. I'm told that among the programme will feature a primer on the making of poffertjes – the delectable, pocket-sized Dutch pancakes which I am sure will be enjoyed by adults and children alike. There is much we can learn from the Netherlands, which is why I'm so heartened by the expanding connections between our two economies and our two peoples. Last year, the Netherlands were Hong Kong's third-largest merchandise trading partner in the European Union, with Hong Kong people particularly keen about Dutch milk and milk products, which made up one fourth of our imports from the Netherlands. Last year, as well, we welcomed the Prime Minister of the Netherlands, Mr Mark Rutte, to Hong Kong – the first Dutch Prime Minister ever to visit us. Among other things, the Prime Minister witnessed the signing of a Working Holiday Programme agreement between us. The agreement, which took effect in January this year, enables our respective young people to spend up to 12 months enjoying the distinctive culture and lifestyle of our two places. My thanks to the Consul General, and the Consulate General for the Kingdom of the Netherlands, for its exemplary efforts in organising Dutch Days in Hong Kong, year after year. 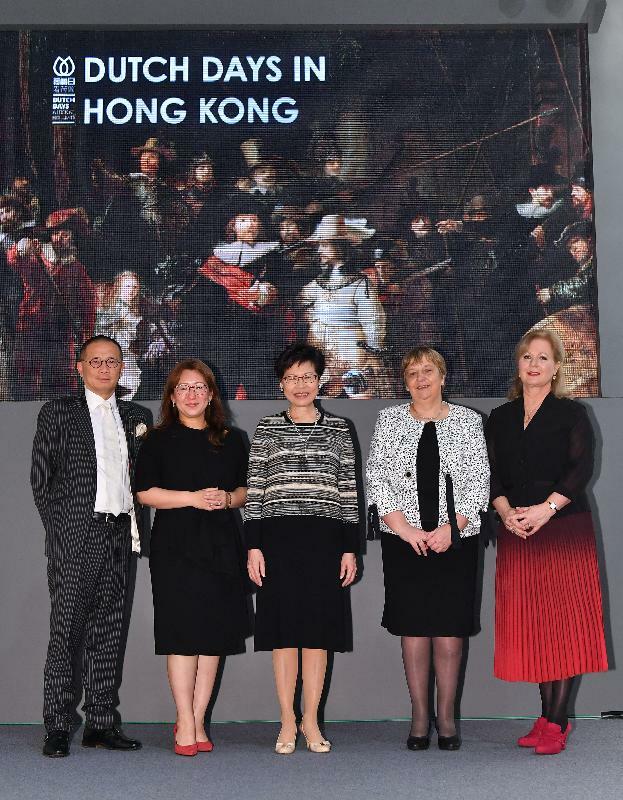 My thanks also to Asia Week Hong Kong, Dutch Days' co-organiser, as well as the event sponsors and supporting organisations, for bringing Dutch Days in Hong Kong to dazzling life.